Be a MedalMad Virtual Runner! Sign up today. 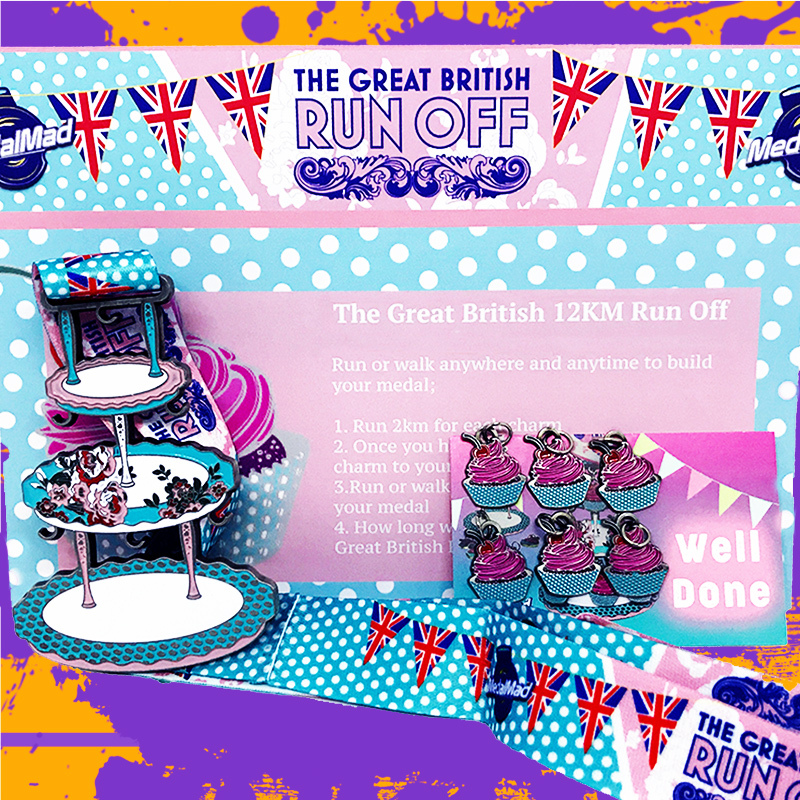 The Mini British Bake Off challenge for MedalKids. Complete a minimum of 6 x 2km distances. You can run, walk, cycle, swim or scoot any 2km distance. You can also complete distances greater than 2km and submit the evidence against more than one charm. When you have completed charm number 6 your complete pack will be sent out. if you have set up a MedalKids account then they can access the free MedalMad app to see each charm and log their evidence via the app as they go. A great way to keep them active and motivated. MedalKids challenges are live if in stock, so medals are on their way as soon as the challenge is completed. Registration Closes on the 22nd June.